The dramatic soaring habit of Eremurus is a real treat in the summer garden and they boast fantastically long flowering lives, lasting what seems like forever in June and July. 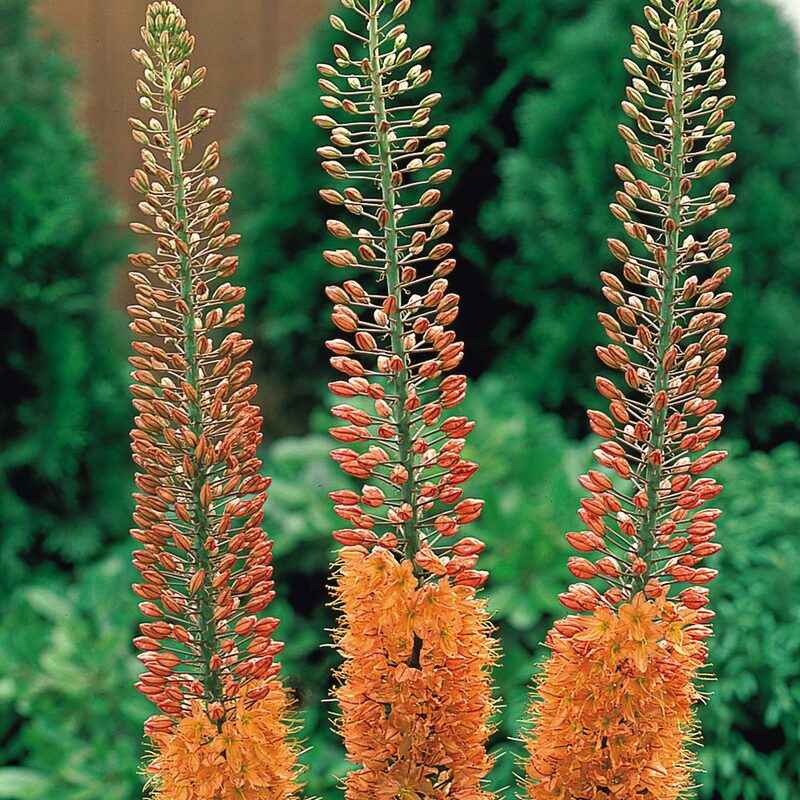 Cleopatra displays a dense flower spike of burnt orange buds that burst into star shaped peachy-orange flowers. These flower spikes are ideal for adding height and texture to any modern cottage garden. 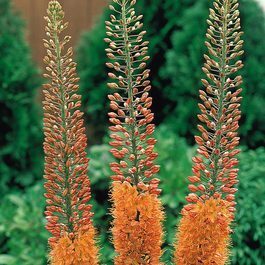 Commonly named Fox Tail Lilies, they are also known as the 'desert candle' thriving in the arid climates of Afghanistan and Turkey, so it no surprise to learn they prefer sandy, well-drained soil and plenty of sun. Given the right conditions they are great naturalisers. It's best not to over crowd them so we recommend surrounding with low growing plants that flower later and will cover any gaps when the Eremurus have died back in August. Supplied as a top size Bulb. 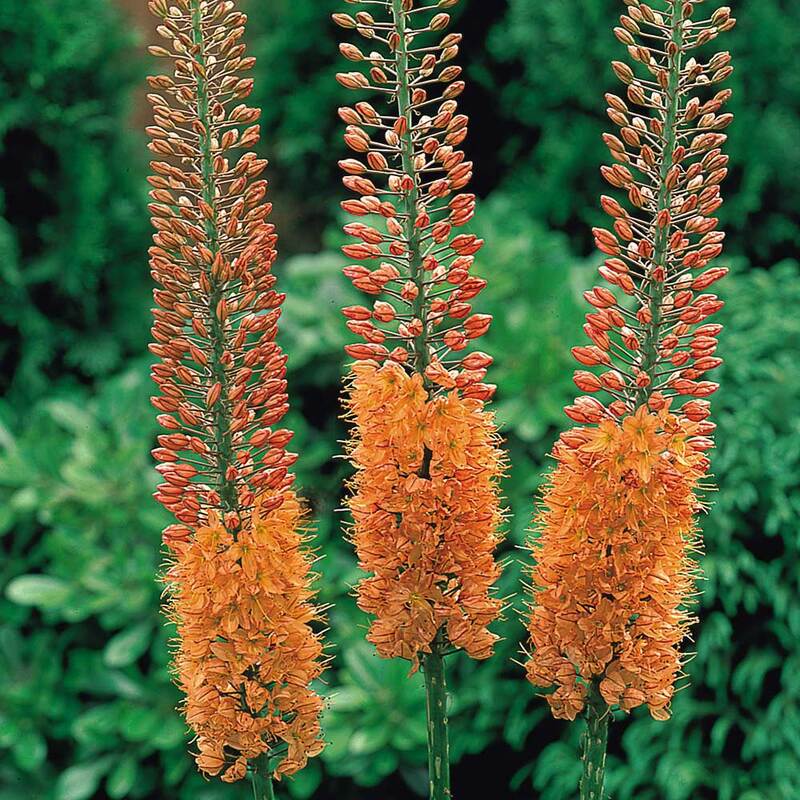 Eremurus should be planted in fertile, well drained soil. 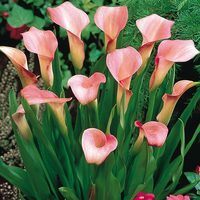 Plant the crown of the plant 15cm deep and 60-90cm apart. 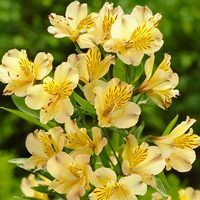 This particular perennial likes to be planted in areas that have good drainage and plenty of access to sun. 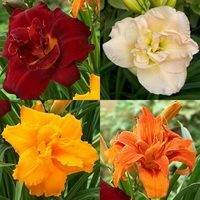 It is possible to remove dead heads once the flowering has finished, and these bulbs should be left to naturalise. It is often recommended that an autumn mulch be applied to help protect the growth. 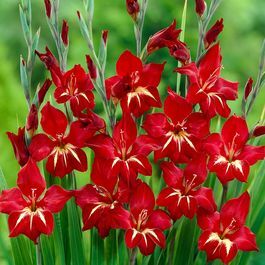 Should be grown in a border to help get the best of these rather tall growing, spiked flowers.